This new edition features 20 new axioms as well as updated charts and text references throughout. Written in a concise format, the book offers guidelines for nearly every market situation that might arise to aid the novice investor. 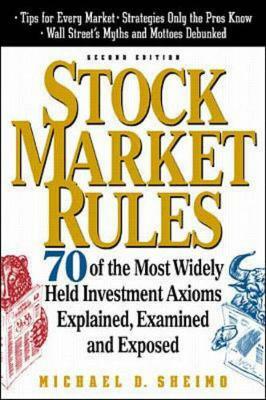 The 70 rules cover a wide range of investing experience, from: "Follow a Few Stocks Well"; "Buy on the Rumor and Sell on the News"; "Avoid Heavy Positions in Thinly Traded Stocks"; and "Take a Loss Quickly."